Welcome to 14 Pineneedle Drive, one of the most prestigious streets in Aurora. 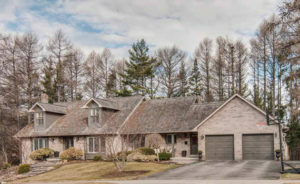 Touched by tradition, this enchanting home is situated on a beautifully landscaped 1/2 acre lot, backing onto 11 Km of nature trails. This gorgeous home has been lovingly decorated and will appeal to the most discerning buyer.